Two Louisville sites are among 11 in Kentucky that have been newly listed on the National Register of Historic Places by the National Park Service. 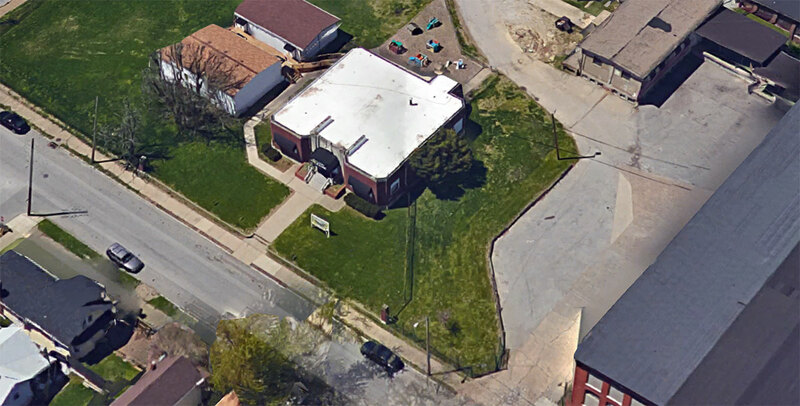 Both of Lousiville’s listings will help development projects in Schnitzelburg and Paristown Pointe move forward. 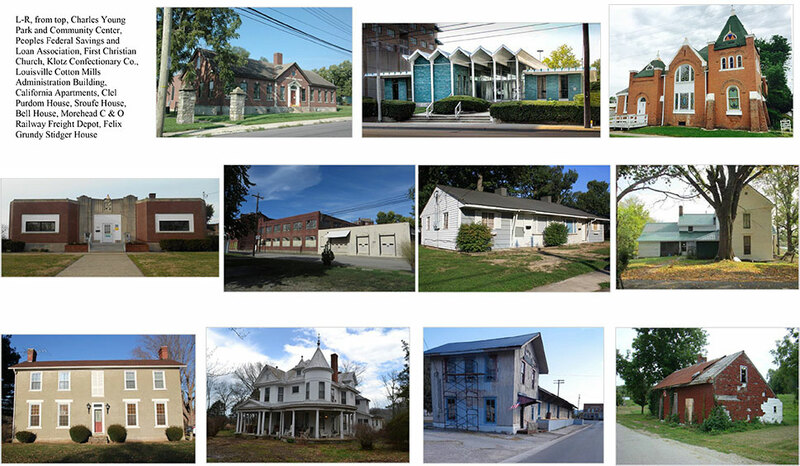 Among the benefits of listing a property on the Register is being able to apply for state and federal historic tax credits to develop a project, making the rehab of old buildings more affordable. Both Louisville structures will likely benefit from such incentives. 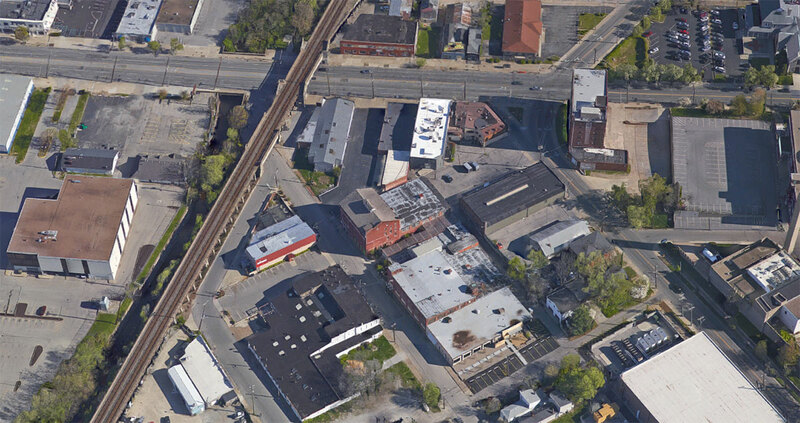 The two structures listed were the Klotz Confectionery Co., 731 Brent Street, and the Louisville Cotton Mills Administration Building, 1318 McHenry Street. 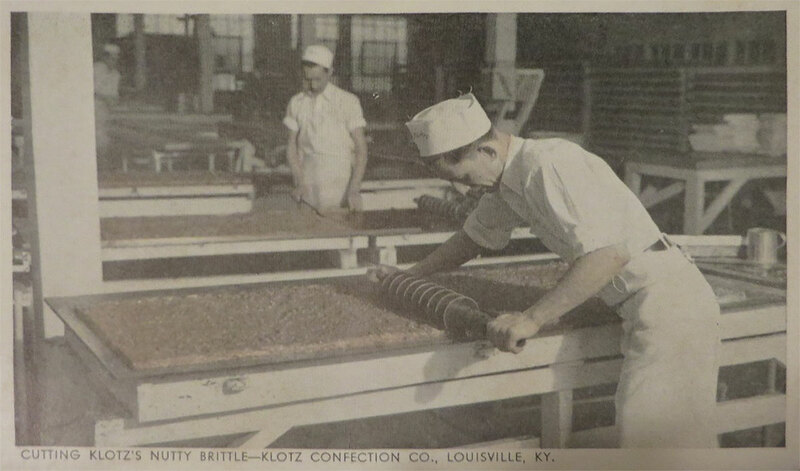 Klotz Confectionery Co. was built in 1937 in Louisville as a candy manufacturing plant, according to National Register documents authored by Joanne Weeter, a historic preservation consultant. Klotz’s opened in 1905 under Fred Klotz, and specialised in chocolate turtles, ice cream, and other candies. The company employed 92 people. Charles F. Klotz, who had previously worked at Cuscaden’s Ice Cream, set out on his own under the banner of Klotz Ice Cream Works, originally locating at 519 East Market Street. 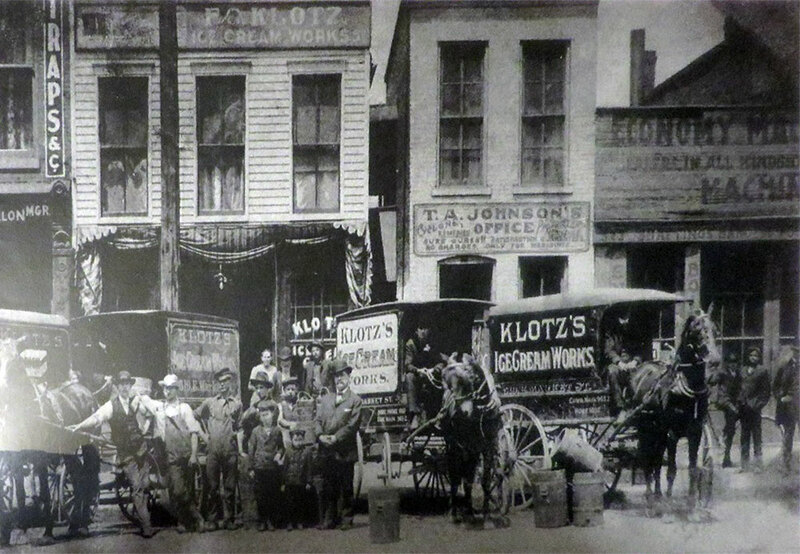 “It was important for the Klotz company to illustrate to customers how up-to-date and sanitary their establishment was,” Weeter wrote, “as many producers and manufacturers of consumable goods at this time were under fire for unsanitary conditions.” Weeter’s research found that Klotz’s early operation could churn out 1,000 gallons of ice cream every day. The company changed its name to the Klotz Confectionery Company in the summer of 1937 and moved its operation to Brent Street. 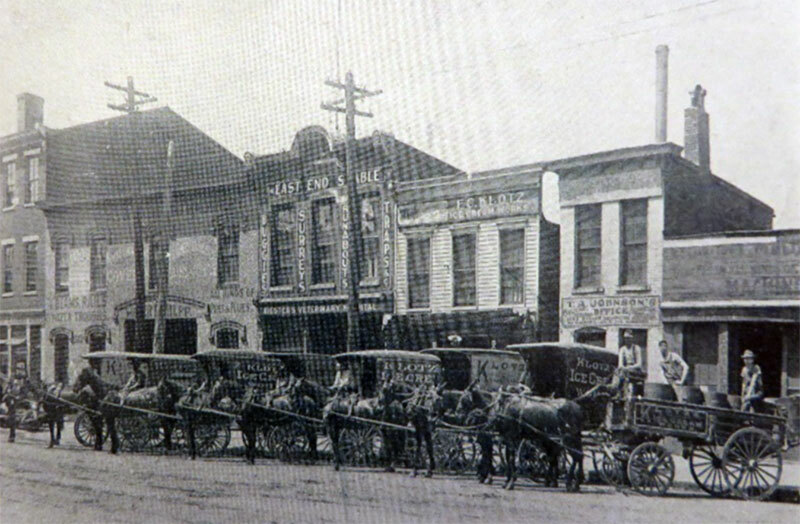 Klotz purchased a two-story Brent Street property for $25,000 from leather processing company R. Mansfield and Sons Inc., but in August of that year, the structure was engulfed by a massive fire. 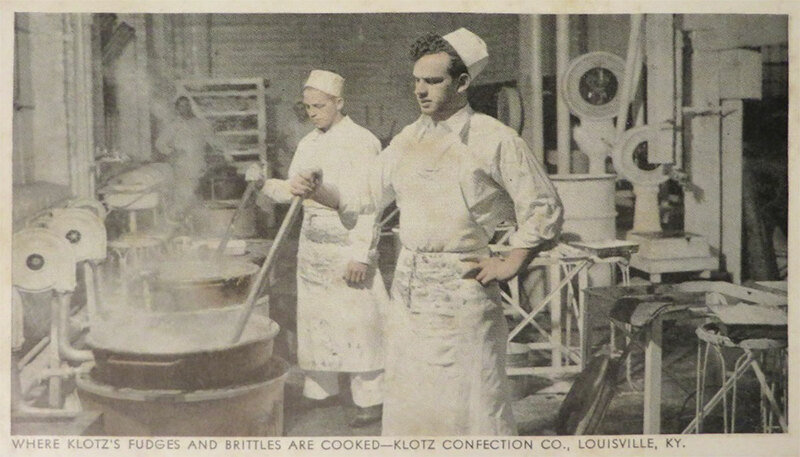 By the end of the year, Klotz had rebuilt his facility and was again up and running making candy and ice cream. In 1960, the company was purchased by Jeff H. Jaffe, “ending over 50 years of candy and confection production in Louisville, Kentucky,” Weeter wrote. Jaffe went on to be a successful businessman, buying companies in Brooklyn and distributing KitKat and Oh Henry candy bars, among other achievements. Charles Frederick Klotz, III, the last family descendent involved in the original Klotz operation, is retired and lives in Fisherville. The two-story brick Klotz building is divided into six bays on its Brent Street facade with original metal-frame windows still intact. Inside, the structure features wooden columns, and Weeter speculates that, based on their age, they may have been salvaged from a neighboring Wirth, Lang & Company/The Louisville Leather Company Tannery Building. The company closed in 1967 and Caron’s City Directory indicated it was then used by the Reynolds Aluminum Company. The structure was eventually folded into the Louisville Stoneware campus and is now part of a collaborative effort to rejuvenate the Brent Street corridor. 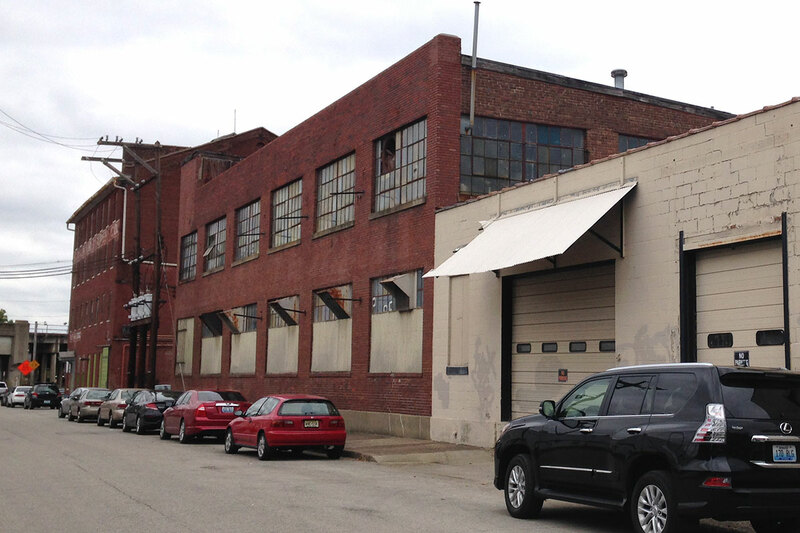 Once renovation is complete on the Klotz structure, it will become the showroom and factory for Louisville Stoneware. All work is expected to comply with the Secretary of the Interior’s Standards for Rehabilitation. Around the corner in Schnitzelburg, the Louisville Cotton Mills Administration Building was also listed on the National Register. 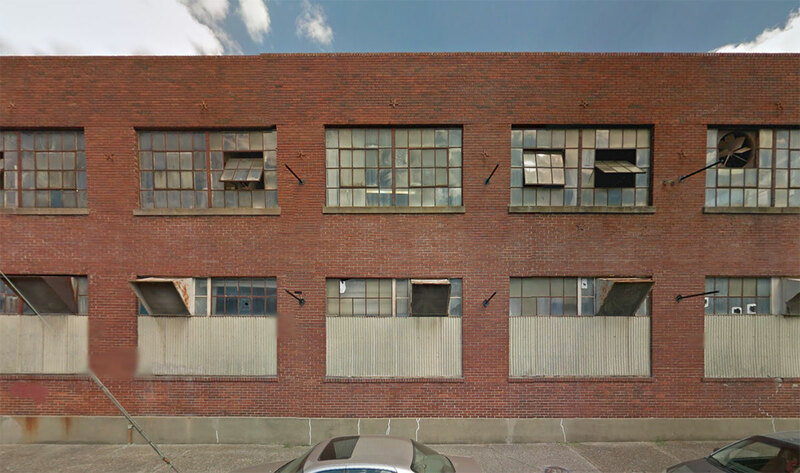 Its listing is expected to help renovate the small outbuilding into a restaurant adjacent to the Germantown Mill Lofts. The larger mill property was listed on the National Register in 1982 (the Administration Building was not old enough at that time to qualify under the listing). The mills expanded multiple times since it opened in the 1880s. The third wave of additions between 1910 and 1928 included a small office building built in 1910 north of the site of the present Administration Building. That structure was demolished sometime after 1941 after the new building was built to the south in 1936 (although the National Register documents also say the structure was built in 1941). The single-story structure facing McHenry Street, built of brick and limestone, features Art Deco–style ornamentation and a symmetrical layout. 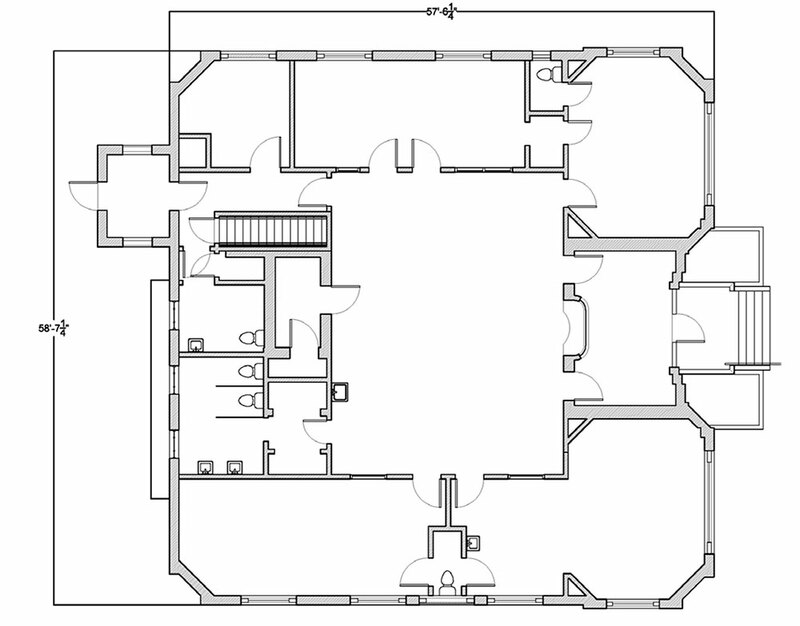 The building is square in plan with chamfered corners. Above the inset front door is a stone relief of a worker using a spinning wheel and loom and “a castle turret wrapped with a banner with ‘Fincastle Fabrics’ printed onto it,” according to Joseph C. Pierson, of Pinion Advisors, who authored the Register listing. Exterior windows and doors have been largely altered later in the building’s life, with only a few original windows existing around back. Smaller windows and doors on the front facade take away from the building’s grandeur, and new windows that fit the structure should go a long way toward improving its aesthetics. 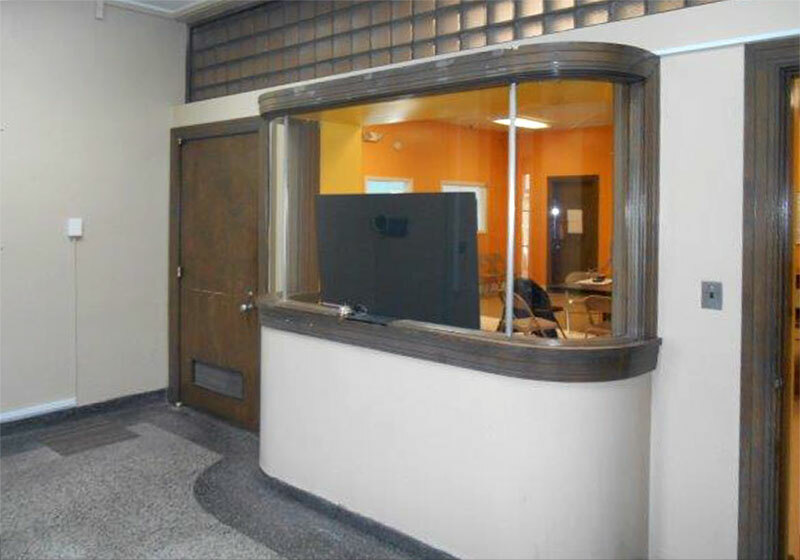 Inside, a lobby features a reception desk with curved glass edges appearing much like the ticket booth to an old theater. A central open-plan office space fills the center of the building. It is lined with conference rooms and offices for executives. Louisville Cotton Mills was the first cotton mill in Louisville, hitting its peak in 1948 when it was Kentucky’s largest textile mill, producing some 8,000 yards of fabric each day. The mill closed in September 1967. Most recently, the Administration Building had been used as a daycare. The larger mill property has been converted into the Germantown Mill Lofts, with residents moving in this spring and summer. 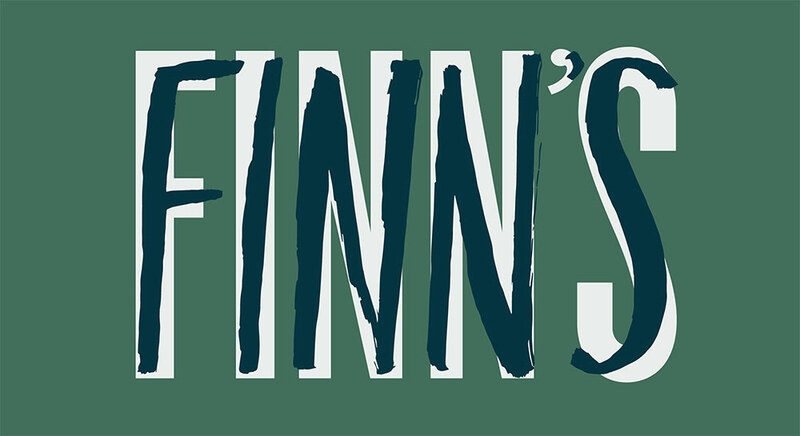 The Administration Building is planned to become Finn’s Southern Kitchen. According to an Insider Louisville report from last October, the restaurant will be operated by Steve Clements, former owner of Avalon and Clements Catering. A building permit was issued last November for the project and the restaurant’s website says it is expected to open in May 2016, two months later than its original projection. Here’s information on the remaining nine Kentucky listings, according to a press release from the Kentucky Heritage Council. Authored by Randy Shipp, historic preservation specialist with Lexington-Fayette Urban County Government. Authored by Sarah Tate, historic preservation consultant. Authored by Sarah Bowman, owner, and Marty Perry, KHC National Register Coordinator. Authored by Suzanne Coyle, Ph.D., owner. Authored by Janie-Rice Brother, senior architectural historian with the Kentucky Archaeological Survey. Authored by Gary D. Lewis, president of the Rowan County Historical Society. Authored by Arnie Mueller, vice president of the Felix Grundy Stidger Historic Preservation Foundation. The listing of this home in the National Register stands out in that the nomination was submitted under Criterion B, property associated with the lives of persons significant in our country’s past, a rarely used designation. Felix Grundy Stidger (1836-1908) was a spy for the Union Army during the Civil War, and the defined period of significance for the home’s listing, 1864-65, spans the two years he was actively engaged as a spy. Stidger traveled extensively during this time, and the covert nature of his work makes it hard to associate any other particular places with this role. The saddlebag-plan log house features a stone foundation, gable roof and central chimney. Today the building is in poor condition, yet because of its association with an important person, this did not preclude listing. The house was evaluated within the larger historic context “Spying in the U.S. Civil War, 1861-1865.” According to the author, approximately 390 known spies worked for both the North and the South throughout the war, including 43 women. Approximately 50 men and women on both sides were eventually executed, and some spies went on to successful careers, such as James A. Garfield, the 20th U.S. President. Following the war, Stidger relocated to Chicago, where he lived until his death.